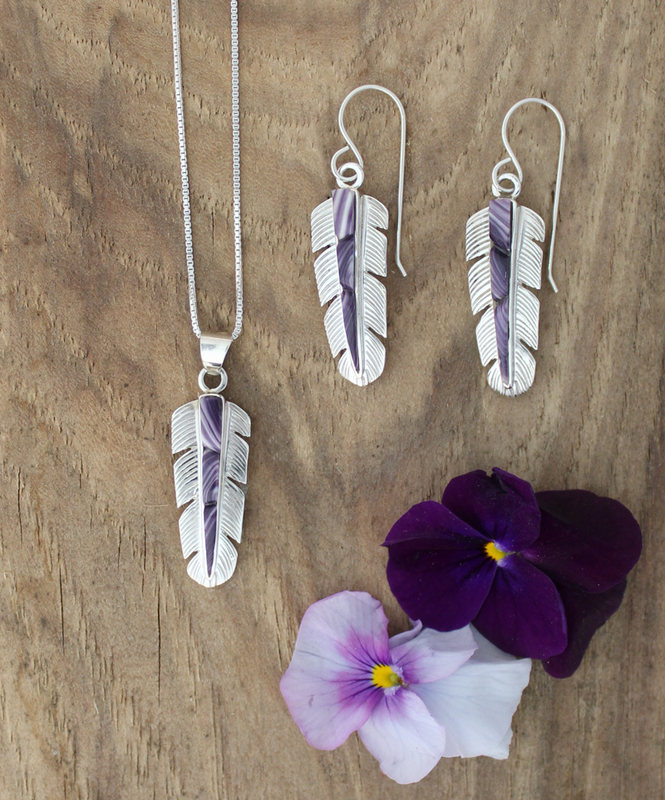 This Sterling Silver Feather Necklace features hand-cut Wampum pieces that are inlayd in cornrow style along with a detailed Sterling Silver cut and stamped feather design. Handcrafted in our workshop. 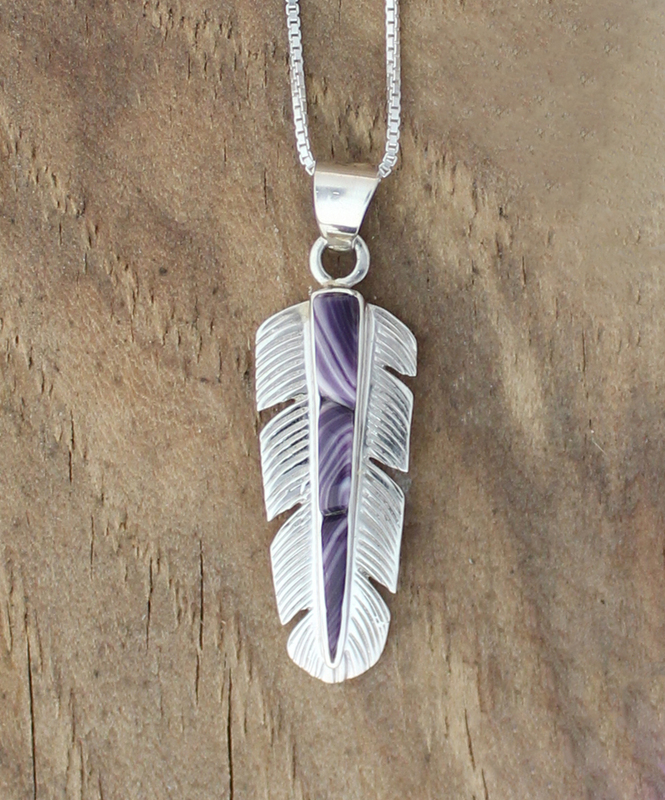 The length of the pendant is around 1 3/8" in length (including bail/hanger) and 1/2" in width (top of feather) to 1/4" (bottom tip of feather). Comes on a 18" inch Sterling Silver box chain. If you would prefer a 16" box chain, please make a note with your order. *See matching Earrings or buy both as a Set.